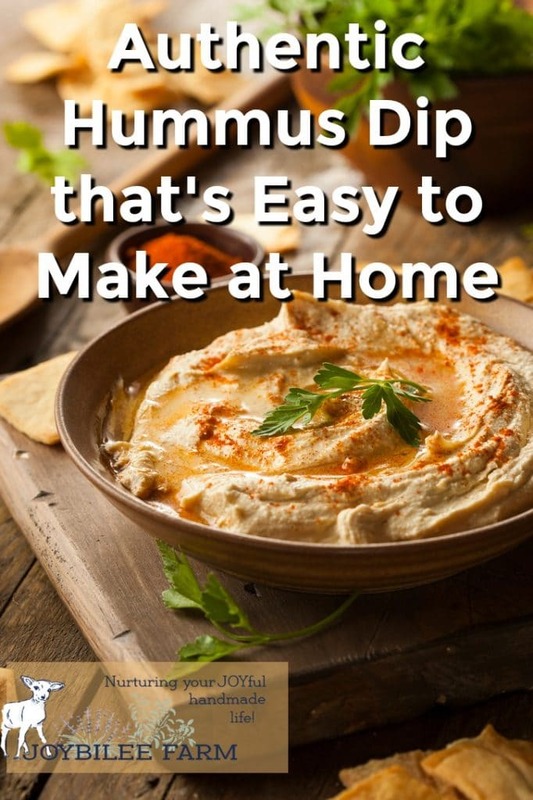 Hummus dip is easy and inexpensive to make at home. When we visited Israel last fall I took a hummus making workshop at the Abraham hostel on Davidka Square in Jerusalem. (This is a must-d0 if you visit Jerusalem!) We made hummus dip from scratch with mashed “hommos” beans (what the Israeli’s call chick peas or garbanzo beans). Served with Israeli salad, pita hot from the oven, and a shot of Anisette, it was a meal to remember. Interesting fact: “Hommos” is the Israeli word for chick peas or garbanzo beans, as well as the word for the dip made from the pureed beans. But there is no need to travel to enjoy hearty and authentic hummus dip. You can make it yourself at home for pennies a serving. It’s one of those recipes that is the perfect foil for fresh herbs, preserved lemons or limes, and zesty spices. Serve it as a side dish with tortilla chips, pita bread, vegetable sticks, or crackers. 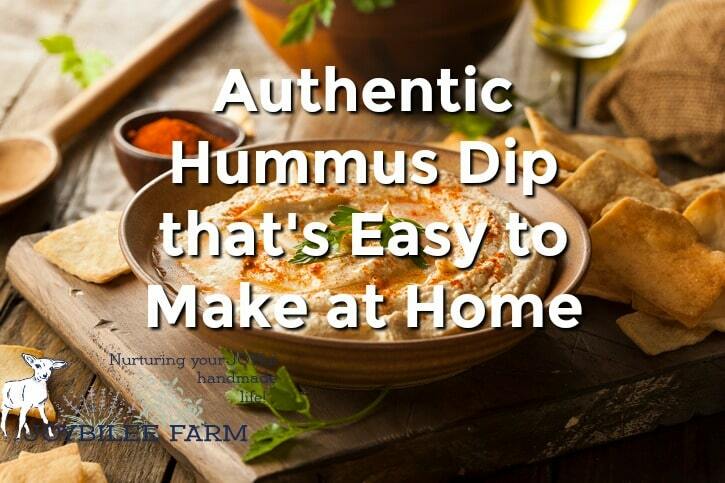 It makes the perfect, high protein dip for vegan meals, or authentic Middle Eastern cuisine. Here’s my favorite recipe for easy hummus dip. Try my version or change it up with a hint of lime. Use preserved lemons and process them with the chick peas in your food processor for a totally different flavor. While my recipe uses cooked chickpeas you can certainly use canned chickpeas instead. 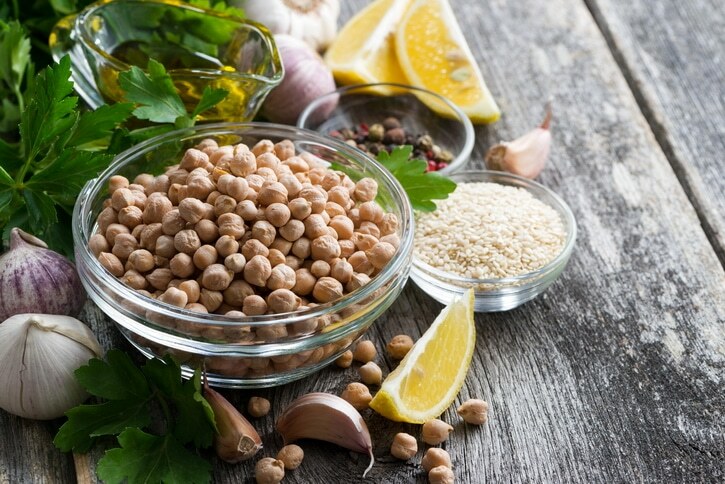 Directions for soaking and cooking dried chickpeas are offered at the end of this recipe. While you could use store bought tahini in this recipe, I prefer the freshness of homemade tahini or sesame butter. Grab the recipe for fresh tahini here. It doesn’t take a whole lot longer to process the sesame seeds into tahini than it takes to make the hummus, if you have a stick blender or a food processor. Some tahini has a sharp, bitter taste, an indication of rancidity. Be sure your tahini is fresh and still sweet tasting, similiar to peanut butter before adding it to you hummus dip. Or try substituting almond butter or sunflower butter for the tahini in this recipe. At the Hummus workshop at the Abraham hostel in Jerusalem, the workshop leader had soaked and cooked the chickpeas for our workshop before we arrived. If you prefer to start with dried chickpeas instead of canned here’s how to cook dried chickpeas and prepare them for hummus making. You’ll only need 1 1/2 cups of dried chickpeas for this recipe. But feel free to soak more than you need and make a larger batch of cooked chickpeas. Unused portions can be frozen for later or pressure canned for genuinely “fast food”. 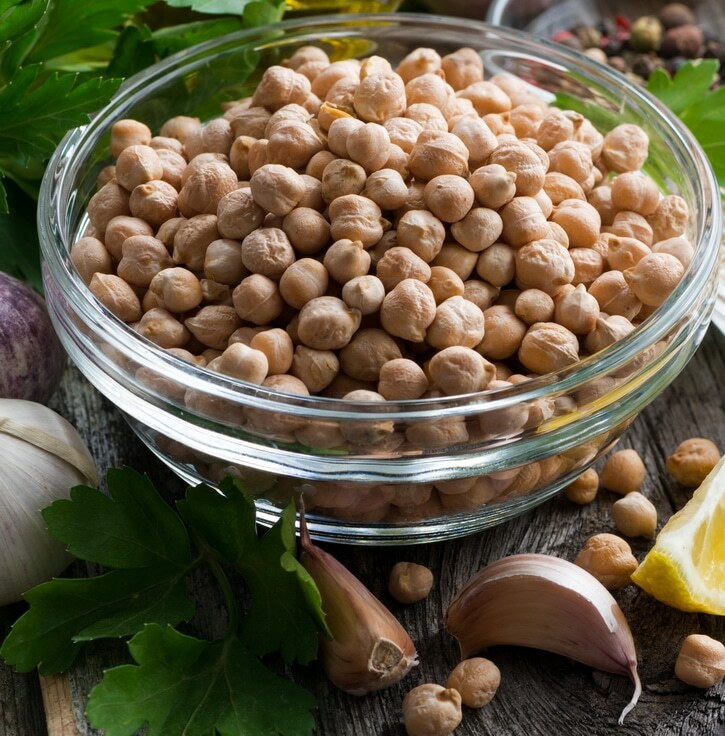 For 1 cup of dried chickpeas you’ll need 8 hours of soaking time in 4 cups of water plus 1 1/2 to 2 1/2 hours of cooking time OR 20 minutes of pressure cooking in your Instant Pot, using the “Bean/Chili” setting. You’ll find more specific directions for cooking dried beans here. If you prefer your Hummus dip a little zestier try this spicy chipolte hummus recipe from Kris at Attainable Sustainable. Hummus is versatile condiment with limitless possibilities for gourmet flavor and tradition.